A year ago, we asked several of the top composers of sacred music today to choose two of their favorite hymns and create fresh settings to be included in a new collection, Hymns We Love (Product #529086). The response was phenomenal. 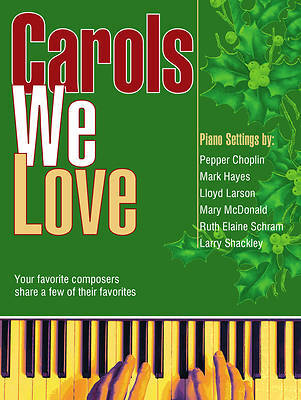 As a logical continuation of the series, this year we asked for new settings of two of their favorite carols. As before, we also requested that the composers tell us why they picked their two carols and perhaps why they chose to set them in a particular style. Here, then, is the formidable result: Carols We Love, now ready to be an integral part of your Christmas repertoire for worship services or simply for personal enjoyment.